In 2010, NOAA satellites were critical in the rescues of 295 people from life-threatening situations throughout the United States and its surrounding waters. The satellites picked up distress signals from emergency beacons carried by downed pilots, shipwrecked boaters and stranded hikers, and relayed the information about their location to first responders on the ground. This system uses a network of satellites to quickly detect and locate distress signals from emergency beacons onboard aircraft and boats, and from smaller, handheld personal locator beacons called PLBs. Alaska had the most people rescued last year with 77, followed by Florida with 37, and West Virginia with 17, who were aboard a downed Army Reserve helicopter. “With each rescue, the COSPAS-SARSAT system performs the way it was intended — as a real, life-saving network,” said Chris O’Connors, program manager for NOAA SARSAT. When a NOAA satellite finds the location of a distress signal within the United States or its surrounding waters, the information is relayed to the SARSAT Mission Control Center based at NOAA’s Satellite Operations Facility in Suitland, Md. From there, the information is quickly sent to a Rescue Coordination Center, operated by either the U.S. Air Force, for land rescues, or the U.S. Coast Guard, for water rescues. Now in its 29th year, COSPAS-SARSAT has been credited with supporting more than 28,000 rescues worldwide, including more than 6,500 in the United States and its surrounding waters. Of the 295 saves last year, 180 people were rescued from the water, 43 from aviation incidents, and 72 in land situations where they used their PLBs. In a joint U.S. Coast Guard-Navy operation, a man was rescued from his capsized boat, 250 miles off of Cape Hatteras, N.C. Although not included in the 295 count, Abby Sunderland, a California teen attempting to set a new record for youngest solo sail around the world, was rescued when she activated her emergency beacons. A storm took her mast — which also left her satellite phone inoperable — and left her boat adrift in the southern Indian Ocean over 2,000 miles from shore. Hers is among the non-U.S. rescues in 2010; those numbers will officially be released later this year. That registration information often helps provide better or faster assistance to people in distress. It may also provide information about the location of the emergency situation, how many people need assistance, what type of help may be needed and other ways to contact the owner. Auckland’s Viaduct Harbour (position on the Marine GeoGarage) showcased a glimpse into the future of the America’s Cup with the debut of the wing-sailed AC45 catamaran. The forerunner to the next generation of America’s Cup boats, the AC45 made its maiden voyage, the first of many sea trials planned over the coming weeks. The AC45 will be the centerpiece of the 2011-2012 America’s Cup World Series, which will start mid-2011. The high-tech carbon fibre catamaran is the first in a fleet of the new 45-foot one-designs that will be tested by America’s Cup teams before racing on the America’s Cup World Series circuit. The AC45 is an essential element of the vision for the 34th America’s Cup, which will feature 72-foot catamarans raced on San Francisco Bay in 2013. Focused on creating more on-the-water excitement for both the teams and the fans, the AC45 is designed for both speed and close racing. While capable of closing speeds of up to 30 knots, the AC45 was designed to remain nimble enough to handle the tight race courses planned by America’s Cup Race Management (ACRM). “The biggest challenge with multihulls is learning how much to anticipate. With the AC45 being a big, powerful multihull capable of tripling the wind speed, your reactions and skills are accelerated. It’s all about being ahead of the cycle,” said Oracle Racing skipper James Spithill. The AC45 was designed by the Oracle Racing design and engineering team, which developed the catamaran on behalf of the America’s Cup community. At task was designing a boat that would not only meet the racing criteria, but could also fit inside a 40-foot container, which is the shipping vessel for the America’s Cup World Series. “The boat was designed for all-around performance so it can be sailed in wide range of conditions, and that means the next America's Cup will see races start on time,” said Ian Burns, Oracle Racing design coordinator. Utilizing the same technology used in the aerospace industry, the hulls are built in carbon epoxy with honeycomb cores, making them extremely stiff and light structures. The sandwich construction involves two carbon skins less than 1mm thick laminated over an ultra-light honeycomb core. “We plan to run tight race courses that will force boats to engage with each other, creating really close racing situations. Multihulls are very fast boats and will therefore reach the course boundaries sooner, so races will become a true test of skill and strategy, not just speed,” said Iain Murray, CEO, America’s Cup Race Management and Regatta Director. Maritime piracy costs the global economy between $7bn (£4.4bn) and $12bn (£7.6bn) a year, a study says. The report, compiled by US think-tank One Earth Future (Oceans beyond Piracy), calculated the amount from the costs of ransom, security equipment and the impact on trade. The majority of costs came from piracy off Somalia, it says. Although the costs are said to be difficult to assess, one researcher estimated they had increased roughly five-fold since 2005. Despite an international effort to patrol waters, the number of reported incidents of piracy has risen over recent years, and the areas in which they operate has grown. The study, launched at the offices of UK think-tank Chatham House, said there had been some 1,600 acts of piracy, causing the death of over 54 people, since 2006. 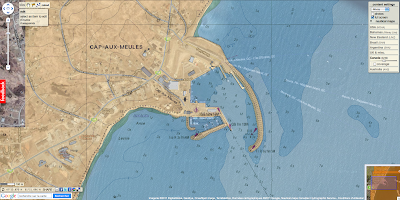 Looking at the problem in three regions - the Horn of Africa, Nigeria and the Gulf of Guinea, and the Malacca Straits - the report suggests that the biggest costs arise from re-routing ships to avoid risky areas, which is estimated at between $2.4bn and $3bn. Meanwhile, about $2bn is spent on naval operations off the coast of Somalia each year. "Some of these costs are increasing astronomically," said researcher Anna Bowden from the Colorado-based One Earth Future Foundation, which conducted research for the study. "What is even more concerning is that all these are simply treating the symptoms. Almost nothing is being done to treat the root cause." At the start of this year, around 500 seafarers from more than 18 countries were being held hostage by pirates around the world. 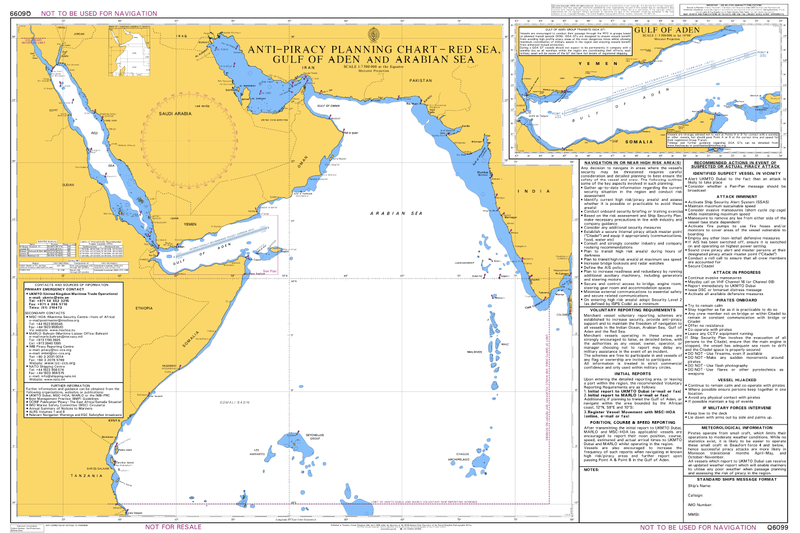 Somalia has been ravaged by internal conflict for two decades, and pirates have flourished amid the lawlessness. 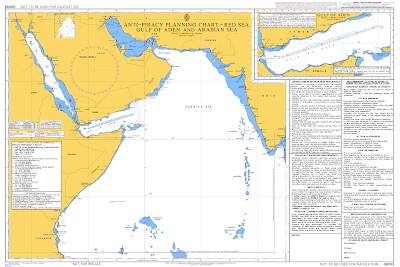 AllAfrica : Somalia, pirates or protectors ? Twenty-two years after first learning to dive, Hugh Fearnley-Whittingstall finally gets up close and personal with his hero animal. Everyone interested in wildlife dreams of an encounter with their hero animal. It might be an elephant, a leopard or a golden eagle. For those of us who love the underwater wilderness, it might be dolphins, sharks or a giant octopus. For me, obsessed with fish since I caught sticklebacks and kept them in a jam jar as a four-year-old, it's long been manta rays. I learned to dive 22 years ago, in weekly sessions at a swimming pool in Swiss Cottage, north London. The most exciting things to see, apart from the black lines along the bottom of the pool, were matted balls of hair and the occasional discarded corn plaster. But from day one I was dreaming of swimming with mantas. Since then, practically every foreign holiday I've taken has involved diving. I've dived in the Red Sea, in Thailand, in the Seychelles, in Madagascar, Mauritius and Tanzania. And I've dived on countless dive sites where seeing mantas was considered to be an occasional unexpected bonus – but always a long shot. And not once did I win the manta lottery. I've dived with sharks, played with octopuses and even snorkelled with whale sharks and basking sharks. They have all thrilled me. Not that I need the company of charismatic submarine megafauna to make a dive feel worthwhile. Seeing tiny wrasse busying themselves in the tentacles of sea anemones, or a velvet swimming crab waving its claws at me from its hidey-hole in a Dorset wreck is quite enough to send me back to my land world feeling privileged and content. But the manta itch has never been far away, and whenever I've arrived at a new destination, I've tentatively inquired whether mantas have been seen there in recent days/weeks/years/ever, often to be told, "You should have been here yesterday/last week/last month." I went to the Maldives for the first time last September, to film pole and line tuna fishing as part of my new Channel 4 series, Hugh's Fish Fight. The story of mantas is relevant to the story of how tuna gets in a tin and ends up in a supermarket near you. This is partly because the vast majority of tinned tuna is caught by a method called purse seining. This involves huge boats putting out several kilometres of net, to surround a shoal of skipjack tuna. It's highly effective – even more so when the boats use something called a FAD. A FAD is a fish aggregation device, which sounds pretty hi-tech, but in fact usually consists simply of a floating raft or a giant buoy, or collection of buoys, anchored to the sea floor. By simply being present in the open ocean, and an object of curiosity for passing marine life, FADs attract fish – including large shoals of skipjack. Unfortunately, they also attract many species that are not the target of the tuna fishermen, but will be caught in their nets anyway. Such casualties are called by-catch. Where FADs are used (and they are now used in the vast majority of fisheries that supply the UK with tinned tuna), the amount of unwanted by-catch increases from 1-2% of the catch to around 10%. 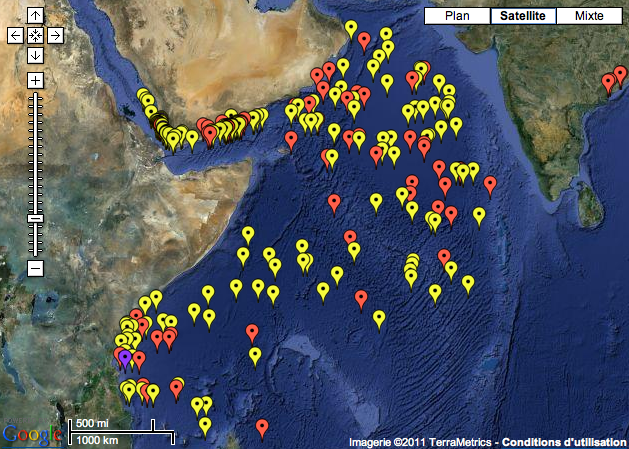 Of particular concern to marine conservationists are the numbers of sharks, turtles and rays caught by this method. And oceanic manta rays fall victim to them, too. By contrast, pole and line fishing is a remarkably clean method of catching tuna. By targeting a feeding shoal of skipjack, and presenting small, shiny hooks on a short line attached to a long pole, hardly anything except the tuna is ever caught. Turtles, sharks and rays are almost never killed. What's remarkable about the Maldives is the way it has taken control of its marine resources and begun to manage them carefully for the benefit of the national economy and the local people. Foreign purse seining boats (most are owned by companies based in France and Spain) were banned from Maldivian waters by the country's first democratically elected president, Mohamed Nasheed, within months of his coming to power in late 2008. The Maldives' tuna resource is now exclusively fished by local boats using the pole and line method. This sustainable approach has encouraged supermarkets such as Sainsbury's, Marks & Spencer and Waitrose to reject the purse-seined tuna, and its controversial by-catch, and stock only pole and line-caught tuna. The pole and line-caught product is boldly labelled, and fetches a premium price – around £1.50 a tin, compared with 50p-£1 for the standard purse-seined tin. But the conscientious fish consumer is catching on and pole and line tuna sales are growing all the time. There's only one other fish species that could arguably run the tuna close in its importance to the Maldivian economy – and that's the manta ray. Divers, who perhaps like me have begun to lose patience, or hope, for a chance encounter with a manta or two elsewhere in the world, book dive holidays in the Maldives on the understanding that seeing mantas is almost guaranteed – at least on certain sites at certain times of year. More than $8m a year are spent on manta dives and manta safaris, and that doesn't include hotel bookings and "live-aboard" boat accommodation. And so I tumble over the side of the dive boat, above a reef that is known to be a manta cleaning station, where mantas come to have little parasites nibbled off them by obliging wrasse. I'm told that manta rays were seen here this very morning, and the day before, and every day before that for several weeks. I try not to think about probabilities, and to resist the mental torment that is so easily induced by the word "almost". We swim down to a reef that is no more than 15 metres below the surface. There is plenty of fish life, including some engaging sweetlips, a plump, friendly reef fish with a stunning tiger-cross-leopard pattern of spots and stripes, yellow on brown. There's an almost preternaturally relaxed turtle that, when I get within touching distance, looks dolefully at me as if to say, "You're not really here to see me, are you?" But right now, there's not much else to look at. Or so it seems, in the glaring absence of manta rays. I'm in danger, I think to myself, of undermining my own mantra, that "there's no such thing as a boring dive". But try as I might, I just can't get engaged with the lovely local fauna. I'm too busy scanning the edge of my vision for some shape, some sign, that the biggest ray in the world is about to join us on the reef. And I get to the point where I think there's clearly been a mistake. We're on the wrong reef. It's just too ordinary. Why would a manta come here? It's simply impossible to conceive of a creature of that size, and of that fabulousness, deigning to visit us on this very ordinary patch of rock and coral. After 45 minutes of this anguish, my air is running low, and it's time to head slowly up to the surface and return to the boat. My weak grin fails to hide my disappointment from my dive guide and the crew. "Nice turtle…" I manage to mutter as I climb up the ladder. Punished for some past act of fishy hubris. Perhaps I shouldn't be such an enthusiastic catcher and eater of fish. That night, I drink too much whisky. Descending to my cabin, I hear every creak and rattle of the gently rocking boat. It's too hot. I can't sleep. Where is my manta? The next morning as the sun comes up at 6.30am, we're approaching the same reef. The usual pre-dive banter is absent as we pull on our gear. I back-roll into the water, working on an absence of thought, a total lack of anticipation, a readiness to focus on whatever comes my way, rather than straining to seek out something that simply isn't there. The sun's still low, and down on the reef it's a little gloomier than it was the previous afternoon. I start to make friends with the sweetlips. As they hang above their favourite rock, I'm trying to engage their wary eyes with a little waggle of my finger. Behind them I notice a flutter of smaller fish rising off the reef, and I turn my attention to them. I see it before I see it: a sultry, grey ghost-shape beyond the limit of clear vision. I'm still unpixellating it into the manta I so desperately want it to be, even as it reveals itself to be exactly that, with a slow beat of its extraordinary pointed wings that brings it effortlessly within a few metres. Ridiculously big, and impossibly graceful, it banks and turns within touching distance, just slowly enough for a dozen little cleaner wrasse to nuzzle up to its underside and start flitting around its broadly latticed gill-rakers, to take up their symbiotic task. And then another looms into the light above the reef. And another. Soon, I am in a slow-motion vortex of six of these flying paradoxes of bulk and beauty, each one the size of three big dining tables bolted together, yet each as graceful and weightless as a kestrel in a light breeze. No one is sure if mantas have been coming here for hundreds, thousands or hundreds of thousands of years, but the latter is a distinct possibility. Right here, right now, though, these creatures are impervious to my presence. And that is the essence of the thrill of being with them. It's a joy of a different order from playing with clever marine creatures such as dolphins and seals. Self-awareness is erased in the moment, lost in the pure pleasure of observing without influence the perfect action of a wondrous, unknowable being. 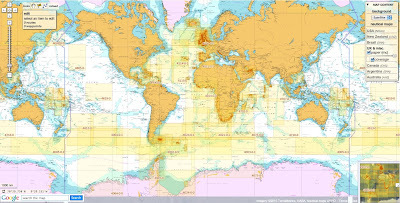 you can have access to 3658 updated charts coming from 7 international Hydrographic Services. The unusually cold weather this winter has been caused by a change in the winds. Instead of the typical westerly winds warmed by Atlantic surface ocean currents, cold northerly Arctic winds are influencing much of Europe. However, scientists have long suspected that far more severe and longer-lasting cold intervals have been caused by changes to the circulation of the warm Atlantic ocean currents themselves. Now new research led by Cardiff University, with scientists in the UK and US, reveals that these ocean circulation changes may have been more dramatic than previously thought. The findings, published (14 January) in the journal Science, show that as the last Ice Age came to an end (10,000 - 20,000 years ago) the formation of deep water in the North-East Atlantic repeatedly switched on and off. This caused the climate to warm and cool for centuries at a time. 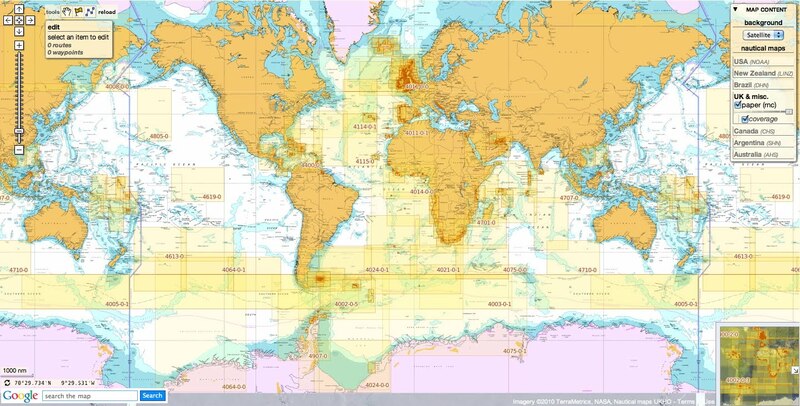 The circulation of the world’s ocean helps to regulate the global climate. One way it does this is through the transport of heat carried by vast ocean currents, which together form the ‘Great ocean conveyor’. Key to this conveyor is the sinking of water in the North-East Atlantic, a process that causes warm tropical waters to flow northwards in order to replace the sinking water. Europe is kept warmer by this circulation, so that a strong reduction in the rate at which deep water forms can cause widespread cooling of up to 10 degrees Celsius. "We retrieved ocean sediment cores from the seafloor of the Northeast Atlantic which contained the shells of small organisms. We used these shells to examine the past distribution of radiocarbon in the ocean. Radiocarbon is a radioactive form of carbon that acts like a natural stopwatch, timing how long it has been since water was last at the sea surface. This allows us to determine how quickly deep water was forming in the Northeast Atlantic at different times in the past." The team of scientists found that each time deep water formation switched off, the Northeast Atlantic did not fill with water that sank locally. Instead it became inundated with water that had originally formed near Antarctica and then spread rapidly northwards. The new results suggest that the Atlantic ocean is capable of radical changes in how it circulates on timescales as short as a few decades. Dr Thornalley said: "These insights highlight just how dynamic and sensitive ocean circulation can be. Whilst the circulation of the modern ocean is probably much more stable than it was at the end of the last Ice Age, and therefore much less likely to undergo such dramatic changes, it is important that we keep developing our understanding of the climate system and how it responds when given a push." The climate secrets of the deepest part of the ocean, the Mariana Trench in the western Pacific Ocean, have been probed by scientists. The international team used a submersible, designed to withstand immense pressures, to study the bottom of the 10.9km-deep underwater canyon. Their early results reveal that ocean trenches are acting as carbon sinks. This suggests that they play a larger role in regulating the Earth's chemistry and climate than was thought. Although two explorers, Jacques Piccard and Don Walsh, reached the deepest part of the Marianas Trench - a point called the Challenger Deep - in 1960, no humans have been back since. And the handful of scientific missions, including this recent visit to this deepest spot, have been carried out using unmanned underwater vehicles. Lead researcher Professor Ronnie Glud, from the University of Southern Denmark and the Scottish Association for Marine Science (Sams), said that working at more than 1,000 atmospheres of pressure was challenging, but advances in technology had made it possible. He told BBC News: "This is the first time we have been able to set down sophisticated instruments at these depths to measure how much carbon is buried there." Professor Glud, working with scientists from the Japan Agency for Marine Earth Science and Technology (Jamstec) and from the UK and Germany, used a lander equipped with special sensors packed in a titanium cylinder that was able to resist the remarkable pressures. The lander was launched from a ship and took three hours to free-fall to the sea bottom, where it carried out pre-programmed experiments before releasing its ballast and returning to the surface. The tests helped the scientists to assess the abundance of carbon at those murky depths. Professor Glud said: "Basically, we are interested in understanding how much organic material - that is all the material produced by algae or fish in the water above - settles at the sea bed, and is either eaten by bacteria and degraded or is buried. "The ratio that is either degraded or buried is the ultimate process determining what are the oxygen and carbon dioxide concentrations of the oceans and the atmosphere, and this gives us an overall picture of how efficiently the sea can capture and sequester carbon in the global carbon cycle." 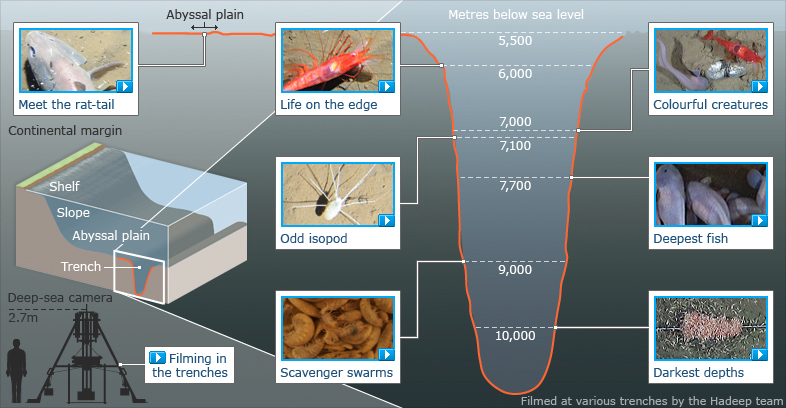 While this has been studied in other parts of the ocean, such as the abyssal plain - the large flat area of the ocean that lies between 4.6km and 5.5km of depth - the role deep sea trenches play in the carbon cycle has until now remained largely unknown. Professor Glud said: "Although these trenches cover just 2% of the ocean, we thought they might be disproportionately important, because it was likely that they would accumulate much more carbon because they would act as a trap, with more organic matter drifting to the bottom of them than in other parts of the ocean." He explained that preliminary data from his experiments suggested that this was the case. He said: "Our results very strongly suggest that the trenches do act as sediment traps. And they also had high activity, meaning that more carbon is turned over by bacteria in the trenches than is turned over at 6,000m of depth in the abyssal plain. "What it means is that we have carbon storage going on in these trenches that is higher than we thought before, and this really means that we have a carbon dioxide sink in the deep ocean that wasn't recognised before." The next stage for the team is to quantify their results and work out exactly how much more carbon is stored in deep sea trenches compared with other parts of the sea, and how much carbon turnover by bacteria is being carried out. This, the researchers said, should help them to better establish the role of the ocean trenches in regulating climate. This is not the first time deep sea trenches have surprised scientists. Recent studies by University of Aberdeen's Oceanlab team have revealed that marine life is much more abundant in this hostile habitat than was previously thought. In 2008, they filmed the deepest living fish ever to be caught on camera - a 17-strong shoal found at depths of 7.7km in the Japan Trench, and the revealed other animals such as amphipods were present in large numbers even deeper. Dr Alan Jamieson, from Oceanlab, said the new study was helping researchers to build up a better idea of what happens in the deepest of the deep. He said: "The trenches continue to amaze us." And to see an experiment such as this carried out at these extreme depths is a great leap forward in deep-sea science. "These studies will greatly enhance our understanding of how the deep trenches contribute to carbon cycling in the world's oceans." The world famous Waimea bay, when it starts breaking in El Niño wintertime, it's the premier big wave spot, you'll find a lot of pro's and big wave legends in the water. Not the longest wave, or the most perfect. But big. In winter time it's home for the famous Eddie Aikau Big wave classic on the North Shore of Oahu. Lots of wipe outs, a tow-in ride at first light, heavy barrels.